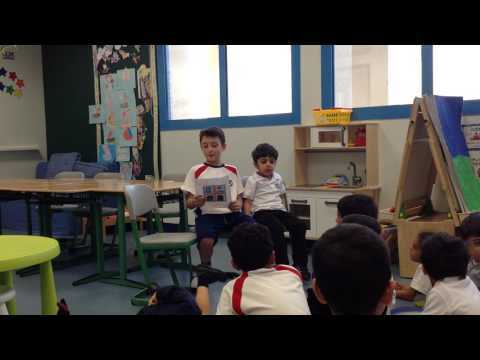 During the year, preschool 4B have been ‘Buddy Reading’ with Grade 2B. We thought after some weeks of reading together it would be nice for them to write their own stories. So the preschoolers told them a story with the help of some pictures and the Grade 2s wrote down the stories. 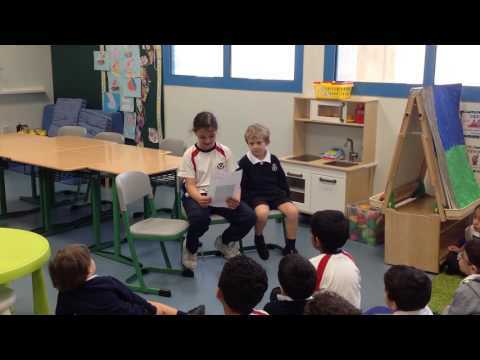 They then read them out to the classes in another reading session. Below you can watch some of the groups. A hard copy of the stories can be found in Ms Olu’s classroom. Preschool 4 had a wonderful day on their bikes and scooters. Unfortunately the rain brought the event inside but this did not stop us having fun. Here you can see Preschool 4B in action. 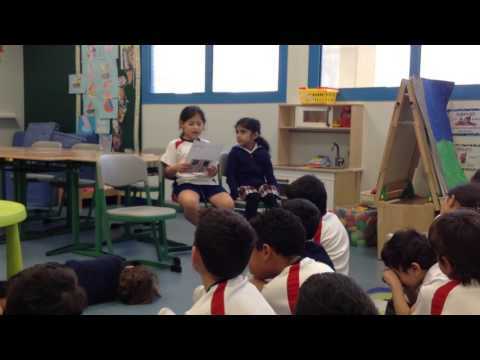 Due to popular demand, here is the video about the camel, or as the class know it ‘ the Adaptation song’. Click on the picture below for the link. Can you think of any other animals that have adapted to special environments? Maybe you could create a poem or song about them with your families. At the end of the first term preschool 4B invited parents to their Celebration of Learning. 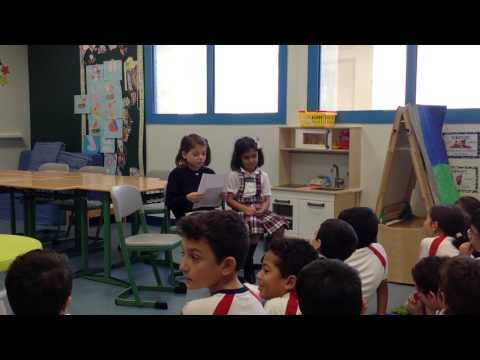 During the celebration we showed a video that had been prepared as part of their summative assessment. The students were asked a number of questions about ocean habitats. and some taken by the children. It is lovely to see familiar faces again from last year and of course to welcome new students into the school. We are looking forward to the year ahead of learning together. On the blog we will post useful links to songs and videos used or made in class so you can continue the learning at home. 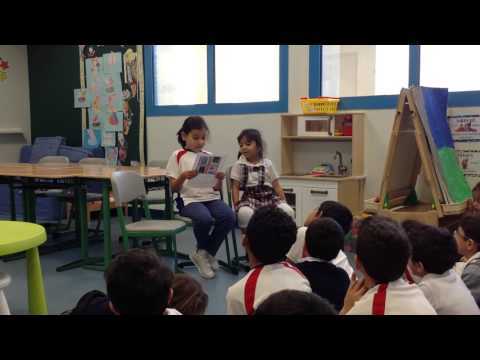 Last week, we had our book week in the school. Everyone really enjoyed the activities that were done in the school. 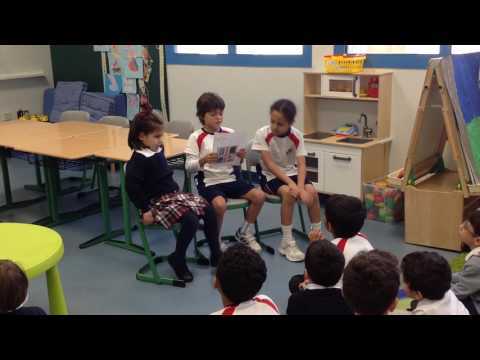 Our Preschool 4 students thoroughly enjoyed our Grade 2 students reading to them and the MYP Spanish students reading to them. We also had fantastic mystery reader who came to the Slithery Snakes class. The children were very excited to see who it was underneath the shiny sunglasses! Here are some nice photographs for you to enjoy! Preschool 4- Unit 3 (Weather and Seasons) and International Day celebration! It has been a very busy year so far. All preschool 4 students having been enjoying our unit 3(Weather & Seasons). 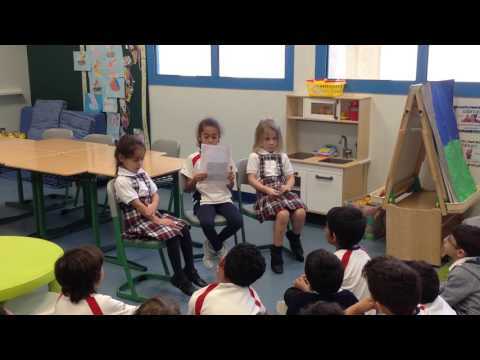 it has been both challenging and interesting for preschool 4, as we don’t experience different seasons in Doha, but each student has enjoyed inquiring into the different seasons and the changes that occur from season to season. Before our spring break, we were very busy, practicing for our International Day performances, which we really enjoyed doing. Well done to all Preschool 4 students! Weather, Seasons & Our Unit Provocation! We are three two weeks into our next unit ” Weather and Seasons”. We begun the unit with our Pajama Day as a provocation for this unit to explain the difference between Day and Night (darkness and light) and the connection that darkness and light has with the weather, especially the sun. Everyone really enjoyed wearing their Pajamas into school.